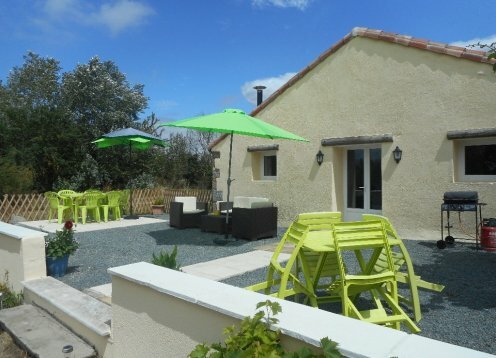 17th Century Farmhouse in a rural setting with private pool, Charente. Ground Floor: large open plan living area, utility & shower room. 1st Floor: double room, salon opening onto a private terrace. 3rd Floor: 2 double rooms & WC.